Entertainment One ("eOne") (LSE:ETO) and The Mark Gordon Company are pleased to announce that they have partnered to create an independent studio that will finance and produce film, network, cable, and digital premium content, which eOne will distribute internationally. The venture, which is led by Mark Gordon in the role of Chief Executive Officer, will continue producing Mark Gordon premium content and will also expand to finance projects by other producers. The studio, which will remain LA-based, will combine Mark Gordon's track record of working with emerging and established creative talent with the financial backing needed to bring exciting content to audiences worldwide. The venture's founding principle is to maximize artists' creative freedom, while giving them a meaningful stake in their product. This transformational deal, with eOne taking a significant stake in The Mark Gordon Company, brings together one of the world's most successful television and film producers with eOne's extensive international distribution network to deliver film and television content with global appeal. Mark Gordon is an award-winning film and television producer with an outstanding track record of hits, including television's Grey's Anatomy, Criminal Minds, Army Wives, and Ray Donovan, as well as critically-acclaimed box-office successes including Speed, The Day After Tomorrow, Saving Private Ryan, The Patriot, 2012 and Source Code. Gordon brings deep active relationships with leading creative talent and all the major studios and networks to the venture. "As producers, we have been successful in bringing the vision of talented creators to large audiences. We can now expand our contribution to include financing and strong global distribution. There is a voracious appetite for premium original content worldwide. In order to realize the true value of our content, retention of rights ownership and control of international distribution are musts," said Gordon. "In eOne, we have found partners that share our vision of supporting the creators and are immersed in the international marketplace with great ambitions to expand in the U.S. Together, we are building an alternative to the traditional studio way." "We are delighted to enter into this partnership with Mark and his team. Mark brings a wealth of experience and talent to the table," said Darren Throop, President & Chief Executive Officer, Entertainment One. "The Mark Gordon Company creates first-class content and has been entertaining audiences around the world for many years. As eOne continues to build its global platform, partnering with strong creative companies like The Mark Gordon Company is right on strategy and I am very excited to welcome them to the larger eOne family." 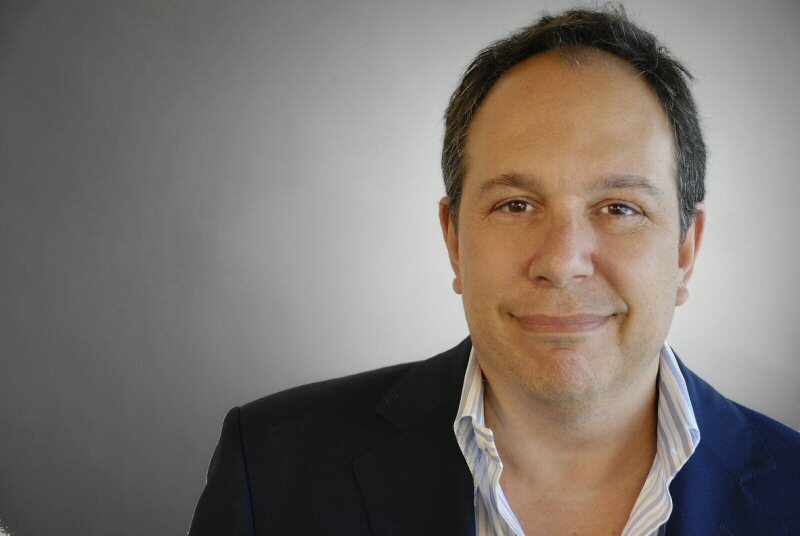 The Mark Gordon Company will complete its tenure with ABC studios and continue to develop and produce film content across all genres, including the production of studio films. eOne's US Television business will continue developing, financing and producing high-quality scripted and alternative programming, operating independently of The Mark Gordon Company. eOne also plans to leverage its digital expertise to enhance the interactive potential of the content produced by the studio. The breadth of eOne's library of titles across Film and Television has delivered one of the most valuable content rights portfolios in the independent sector. In Television, eOne develops, produces, acquires and distributes programming across all genres, delivering over 300 half-hours of original content every year. eOne Television has a significant distribution arrangement with AMC Networks' AMC and Sundance Channel, whereby eOne handles international distribution for all of their original scripted series. eOne is also the studio and international distributor behind the AMC series Hell on Wheels, and along with Fox International Channels, the international distributor for the zombie-phenomenon, The Walking Dead. In Film, eOne is the largest independent multi-territory distributor in the world and recently expanded its global production and international film operations. This deal will continue to build on eOne's commitment to investing and financing projects at source, offering film producers an increased and concentrated investment in their films and working with top creatives to deliver commercial content around the world. Entertainment One Ltd. (LSE:ETO) is a leading international entertainment company that specializes in the acquisition, production and distribution of film and television content. The company's comprehensive network extends around the globe including Canada, the U.S., the UK, Ireland, Spain, Benelux, France, Germany, Scandinavia, Australia, New Zealand, South Africa and South Korea. Through established Film and Television divisions, the company provides extensive expertise in film distribution, television and music production, family programming and merchandising and licensing. Its current rights library is exploited across all media formats and includes more than 35,000 film and television titles, 2,800 hours of television programming and 45,000 music tracks. The Mark Gordon Company is currently in production on several television series including "Grey's Anatomy" (ABC), "Criminal Minds" (CBS) and their most recent project "Benched," a courtroom comedy starring Eliza Coupe and Jay Harrington is currently airing on USA network. Additionally, the company is set to begin production on season 3 of the hit Showtime drama "Ray Donovan" starring Liev Shreiber in early 2015. Past television credits include "Private Practice" (ABC), "Army Wives" (Lifetime) and "Reaper" (CW). Forthcoming projects from the company's film division include the UNTITLED STEVE JOBS BIOPIC written by Aaron Sorkin with Danny Boyle attached to direct and ARMS AND THE DUDES with Todd Phillips directing and starring Jonah Hill. Past film credits include SOURCE CODE, 2012, and THE MESSENGER. The company is helmed by Mark Gordon who has produced more than 75 motion picture and television projects. Gordon is a five-time Emmy Award nominee with two wins and has been nominated for multiple Golden Globe Awards earning two wins. He garnered Academy Award and BAFTA nominations and won a Golden Globe for Best Picture as producer of SAVING PRIVATE RYAN. Gordon's past film credits include THE DAY AFTER TOMORROW, THE PATRIOT, TALK TO ME, THE PAINTED VEIL, THE HOAX, WONDER BOYS and SPEED. The Mark Gordon Company was advised by Evolution Media Capital on the transaction with Sidley Austin LLP and Hansen, Jacobson, Teller, Hoberman, Newman, Warren, Richman, Rush & Kaller L.L.P. providing legal counsel. A team led by Matthew C. Thompson of Stroock & Stroock & Lavan LLP provided legal counsel on the transaction for eOne. About this company Entertainment One Ltd.